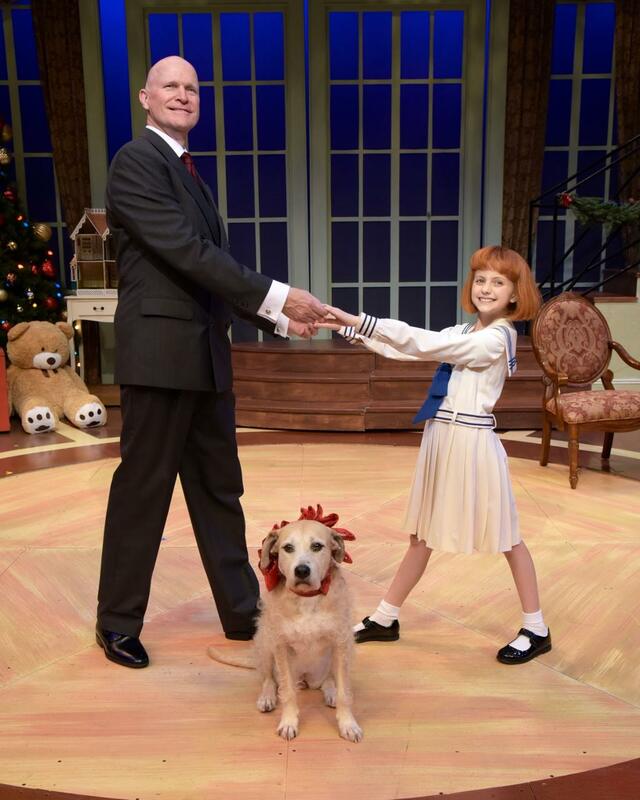 “Annie,” one of the world’s best-loved musicals, is showing June 29 – September 10 at the Westchester Broadway Theater in Elmsford. 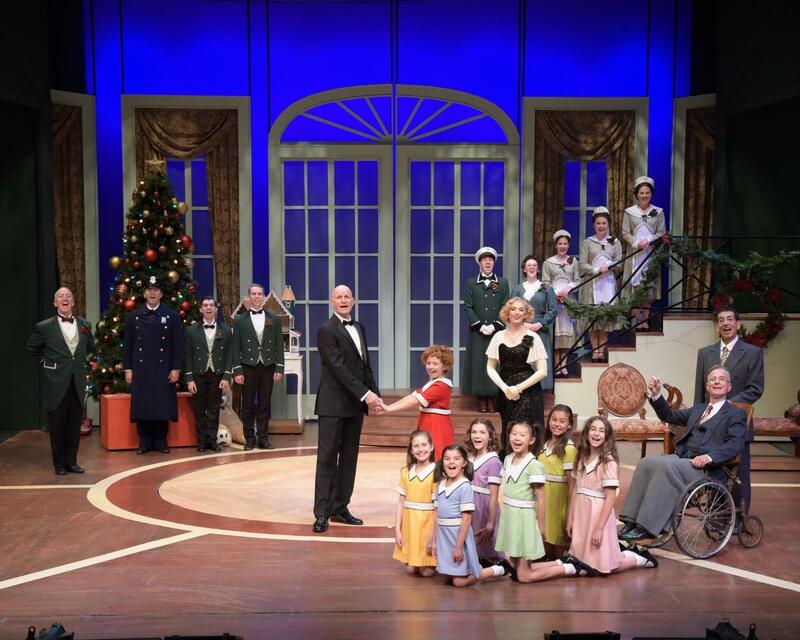 Peyton Fishman (Irvington) and Kaylin Hedges (Valley Cottage) star as Annie in alternating performances. Michael DeVries is Daddy Warbucks, the billionaire business man. You may remember him in Wicked and Hello, Dolly, on Broadway. Susann Fletcher is Miss Hannigan, the cold-hearted orphanage owner. 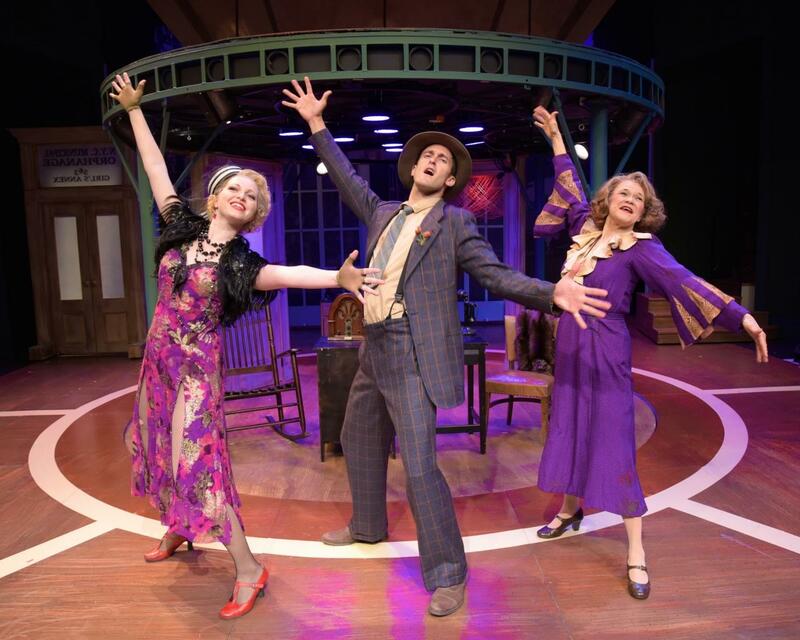 She starred as Louise Seger in WBT’s production of Always…Patsy Cline. Warbucks’ secretary and love-interest, Grace, is portrayed by Celeste Hudson who was seen in Show Boat at WBT. Miss Hannigan’s con-artist brother, Rooster, is played by Adam Roberts, who appeared on Broadway in Pippin and Spider-Man Turn Off the Dark. The role of Lily, Rooster’s petty-thieving girlfriend, is played by Aubrey Sinn who starred as Maria in our production of The Sound of Music. John-Charles Kelly plays President Franklin D. Roosevelt. 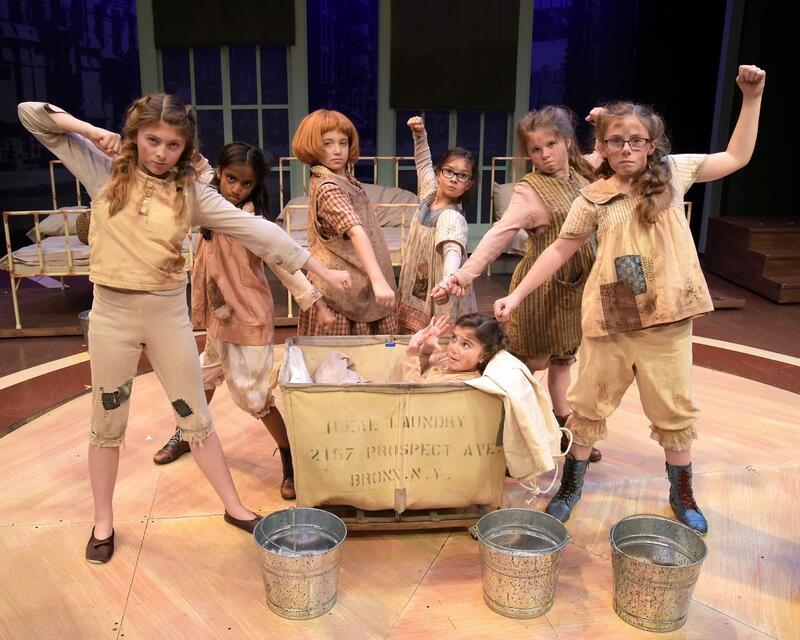 A lively group of local girls play the orphans in Annie. Anika Bobra (Armonk), Tahlia Ellie (Short Hills, NJ), Haylie Christiano and Ruby Griffin (both of Valley Cottage), Maureen Henshaw (Carmel), Nora Kennedy (Tappan), Molly Lyons (Wappinger’s Falls), Sasha Murray (Chappaqua), Lucy Neureuther (Harrison), Ella Stanley (Bronx), Lauren Sun (Rye Brook) and Gabriella Uhl (Cornwall). The Orphans: L to R: Ruby Griffin (July), Anika Bobra (Tessie), Peyton Ella (Annie), Gabriella Uhl (Kate), Nora Kennedy (Pepper), Maureen Henshaw (Duffy). In Basket: Haylie Shea Christiano (Molly). Co-starring: Robert Abdoo, Kelly Black, Laura Cable, Joseph Cullinane, Jesse Lynn Harte, Carl Hulden, Ryan Alexander Jacobs, Kelsey Self, Rochelle Smith, Roger Preston Smith, and Billy Clark Taylor. Sunny, a 7 year old Terrier Mix, will play Sandy the dog. 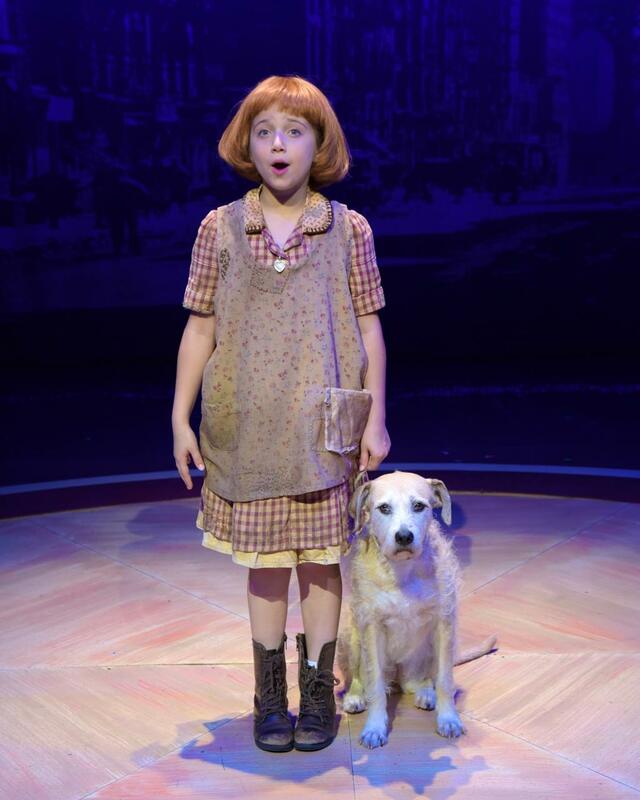 He was rescued from a kill shelter and appeared in the 2014 revival of ANNIE on Broadway, and in the national tour. He was the subject of a NBC special entitled ANNIE’S SEARCH FOR SANDY. Sunny follows in the line of great Sandy dogs rescued and trained by Bill Berloni. Directed & Choreographed by Mary Jane Houdina; Musical Director is William Stanley; Assistant Director/Choreographer is Robert Abdoo. Rochelle Smith is the Dog Handler. Steve Loftus is the Technical Director. Costume design by Suzy Benzinger, Costume coordinator is Heather Carey, Set design by Michael Bottari & Ron Case, Lighting Design is by Andrew Gmoser, Sound Design is by Mark Zuckerman, Wig & hair design by Shannon Harrington. The Production Stage Manager is Victor Lukas, ASM is Duane McDevitt and properties are by Grumpy Props. Lisa Tiso is the Associate Producer.